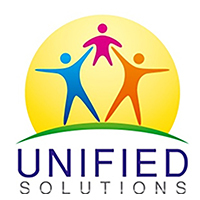 Indianapolis Therapist: Unified Solutions - Therapist 46260. Send A Message To Unified Solutions. Tandy has been a licensed clinical social worker in counseling and consultation for over seventeen years. She brings a unique perspective to providing unified services through partnering with clients to empower and enrich each individual's quality of life. She earned her Master of Social Worker from Washington University in St. Louis. She's held positions in organizations including residential treatment, community mental health, intensive home-based casework, school counseling, behavior consultation, and private practice. She has also served as adjunct faculty at IU School of Social Work. Annegelique is a licensed clinical mental health counselor and has provided therapy in many different settings. She has supervised clinicians, provided therapy for clients of substance abuse, those in need of family therapy, children in the school setting and adult male offenders in the prison system with a variety of charges and mental illnesses. Her clinical judgement is proven by the work that she has done and the people's lives she has touched. Her understanding of precipitating problems or symptoms and the appropriate approach to supporting the client comes from a place of compassion.